If I have one criticism of the text, it might be that Louisa Gummer cannot do an American accent! Aside from that, I would suggest that this is required reading for any Austenite. 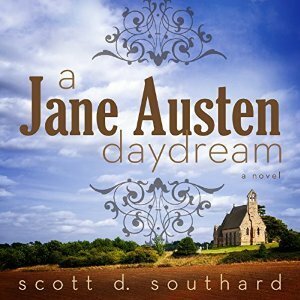 Sign into Goodreads to see if any of your friends have read A Jane Austen Daydream. Thanks Maureen! Jennifer, the narrator has to do a New Yorker accent, but the first couple times she makes him sound like a Southerner whose swallowed marbles. Thank you for your kind review! I'm glad you enjoyed my book. Scott wrote: "Thank you for your kind review! I'm glad you enjoyed my book." Scott, I loved your book! THANK YOU for writing it! Dash fan wrote: "great review :-)"